but the moment you find Trust & Love on someone, Don’t ever let that someone go..!! Character develops in stream of struggle and adversity. Character s foundation of your inner beauty which reflects in your personality! For attractive lips, speak words of kindness. For lovely eyes, seek out the good in people. For a slim figure, share your food with the hungry. For beautiful hair, let a child run his fingers through it once a day. 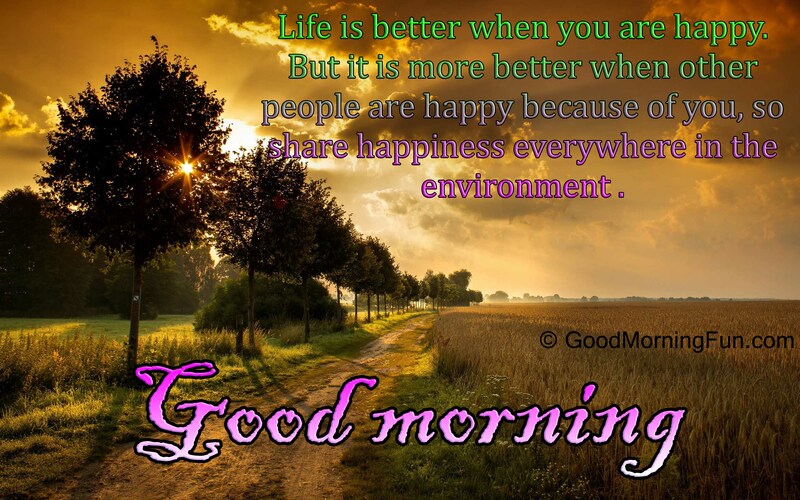 Good Morning – Happiness is the secret to all beauty. Practice patience: Just listen to someone while he is speaking, or try not to respond when someone annoys you. Empty your mind and stay present. Don’t listen to your need to say or do something. Good Morning. God bless your day with full of Happiness.